The mesmerizing intoxicating lady "life" dances on hip gyrating music in the princely pink city Jaipur. from the new to the great beyond and within, the place where mystic travelers travel within through the speed of light while the city carries them towards its own light. Find here what every shamanistic and mystic traveler has already found, the elixir to life, the wonders of living in the infinite magical pool of ether. Amber Fort: This beautiful fort built by Maharaja Man Singh depicts the artistic Hindu architecture through its cobbled pathways and large entrances. This four-level fort, built with red marbles and sandstone, consists of the royal legacy of Diwan-e-Aam, Diwan-e-Khas, Sheesh Mahal, Sukh Niwas and a temple of Sila Devi. 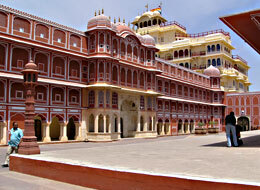 City Palace, a beautiful palace in the city of Jaipur, is surrounded by large walls on all sides. It also houses audience halls, pavilions and many other important buildings. The construction work of this palace was commissioned by Maharaja Sawai Jai Singh during the early..
Jal Mahal was built during the 18th century in the middle of Mansarovar Lake. 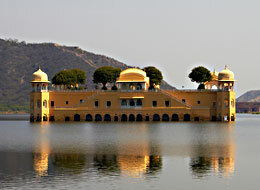 This is one of the biggest artificial lakes in Jaipur, which was constructed using red sandstone. 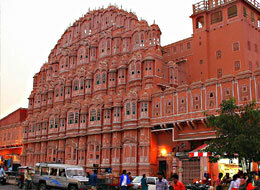 It is a five-storey structure built in Mughal and Rajasthani architectural styles. 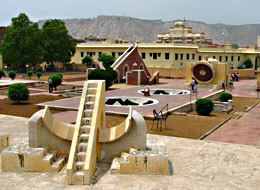 Jantar Mantar was constructed by Maharaja Sawai Jai Singh II between 1727 and 1734. The word 'jantar' means instrument, whereas 'mantar' refers to formula or calculation. Situated in Jaipur, this monument is one of the five astronomical observatories present in India. 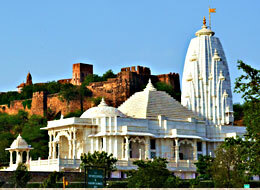 Close to Moti Doongri is Birla Mandir, built completely of white marble and a popular tourist attraction. Dedicated to Lord Vishnu and Goddess Lakshmi, his consort, the chief deity is constructed out of a single piece of marble giving it a beautiful sheen. The temple is ornate with beautiful carvings and rich sculptures from of Hindu mythology. Nahargarh: Well too much of noice, the city offers a place of recluse, up above the world so high like a party maker in the sky, is this gargantuan majestic aura palace. 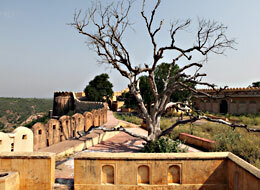 This is the mecca of all adventure makers in Jaipur and the place where solitude meets multitude. Where you meet yourself and yourself meets your God self. 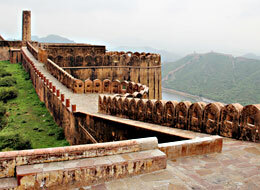 Jaigarh Fort is one of the famous tourist spots in the city which is commonly called as the fort of victory. 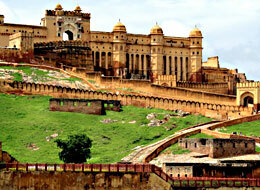 This fort is situated high on the Chilh ka Tola or the hill of eagles that are about 400 ft above the main Amber Fort. There are two main entrances of this fort that are called as Dungar Darwaza which is located towards the south and Awani Darwaza that lies to the east. 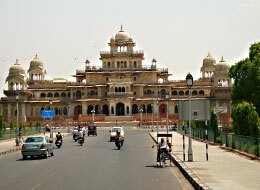 Albert Hall is popularly known as the Central Museum, displaying Indo-Saracenic style of architecture. The museum houses a unique range of miniature portraits, metal ware, sculptures, an Egyptian mummy and paintings, among other things. Some of the sculptures on display are as old as 2nd century, 8th century and 18th century. 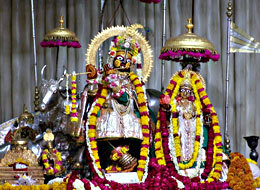 Govind Dev ji Temple is a holy shrine situated in the main complex of the City Palace. This temple is dedicated to Lord Krishna and is managed by the Jaipur royal family. It was constructed during the 18th century and is decorated with beautiful paintings.